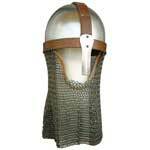 We are listed at the apex in the list of the most prominent Norman Chainmail Helmet Exporters from India. 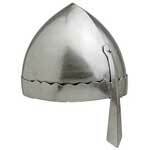 The unmatched quality and inexplicable look of the Medieval Norman Helmet has played a vital role in the enhancement of the demand at international level. 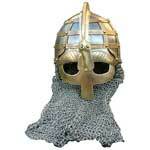 The Norman Nasal Chainmail Helmet is also the foremost choice of the clients as it includes accurately knitted Chainmail.